Launches 1st single, starts pre-order! 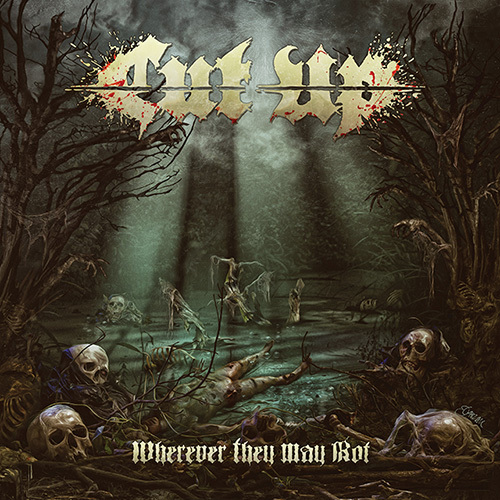 On March 24th, CUT UP will release their anticipated 2nd album ‘Wherever They May Rot‘ worldwide via Metal Blade Records! ‘Wherever They May Rot‘ is just as brutal as its predecessor ‘Forensic Nightmares‘ from 2015, but offers a rougher edge and is overall slightly catchier. Let them Swedes unscrew your head at metalblade.com/cutup where you can listen to the first single and album opener ‘From Ear To Ear’! Check out the amazing artwork by Lukasz Jaszak and pre-order the album on either Digi-CD or vinyl. There’s shirt bundles available as well! At the same location you can place your pre-orders. ‘Wherever They May Rot‘ will be released on vinyl as well as on Digi-CD and all digital outlets.